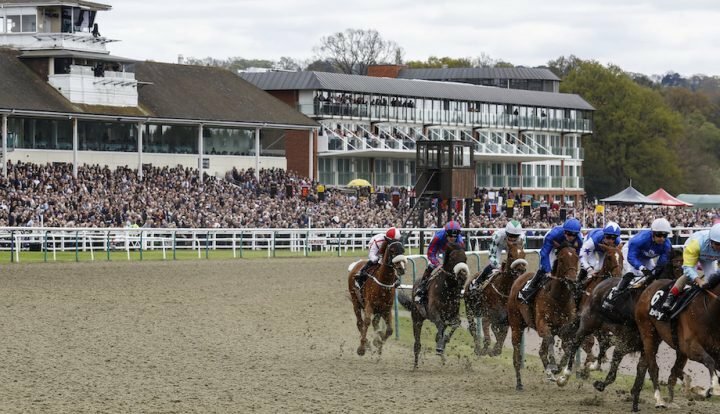 Muddy says: This small co-ed prep school in the rolling hills of Surrey is family-oriented with a deserved reputation for its all-rounder offering. There’s no denying the beauty of Longacre School’s setting amid the North Downs. 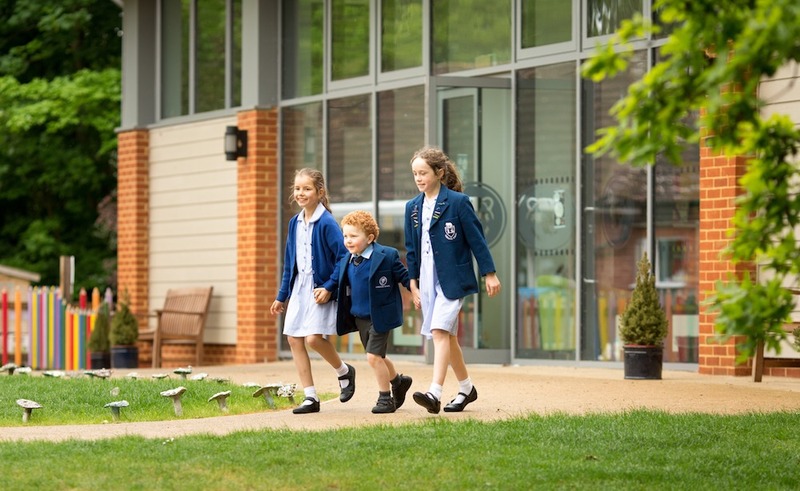 You’ll find the school on the outskirts of the picturesque village of Shamley Green, within easy reach of both Guildford and Cranleigh, and to get here you’ll meander through beautiful Surrey villages and down pretty country lanes. It’s really quite something, especially on a sunny spring day. 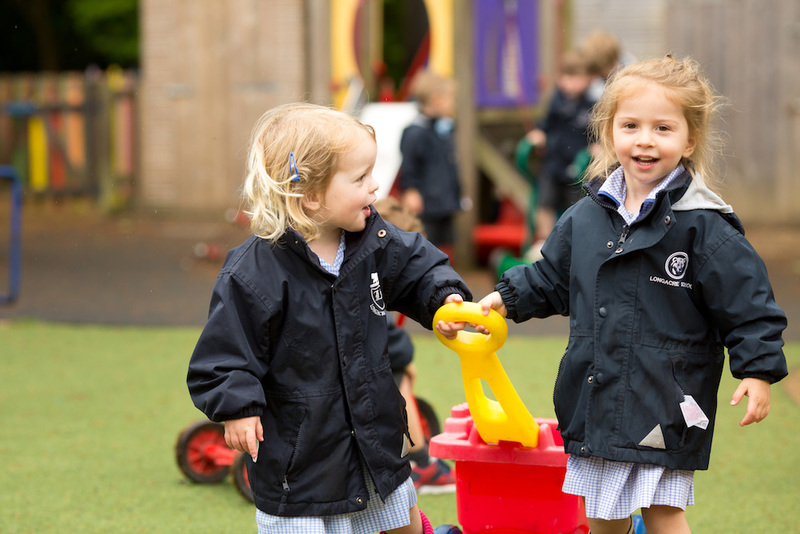 Co-educational, Longacre takes children from age 2 ½ (in the nursery) to 11, with a two-class intake from Reception upwards. Class sizes are kept small, with no more than 16 children in each Reception class and no more than 18 in classes throughout the rest of the school. The school’s structural centrepiece is the original 1902 house which faces onto a courtyard known as The Quad. The Quad – in turn – is the central hub of the school: a meeting point in the morning and the place you’ll find parents lingering to chat long after the school day has ended. Surrounding The Quad, in a sort of horseshoe shape, other school buildings have been added over the years so that most classrooms, including the Pre-Prep and Nursery look out onto the space (which in spring is set off by a beautiful cherry blossom tree). Perhaps it’s the size of the school, or perhaps it stems from the school’s history and the motto of the school’s founder Ursula Fairfax-Cholmeley – A happy heart goes all the way – but there’s a strong pastoral ethos at Longacre with a focus on happiness in the belief that children learn more effectively when they’re happy. It’s not a school where formalities are imposed – kids are allowed to be kids so an untucked shirt isn’t seen as the end of the world, and the head master is almost never called Sir. But don’t confuse this with disrespectful and slovenly children – quite the contrary – because manners are held in high regard and children are reminded at regular assemblies. For a school of this size, they’re excellent. 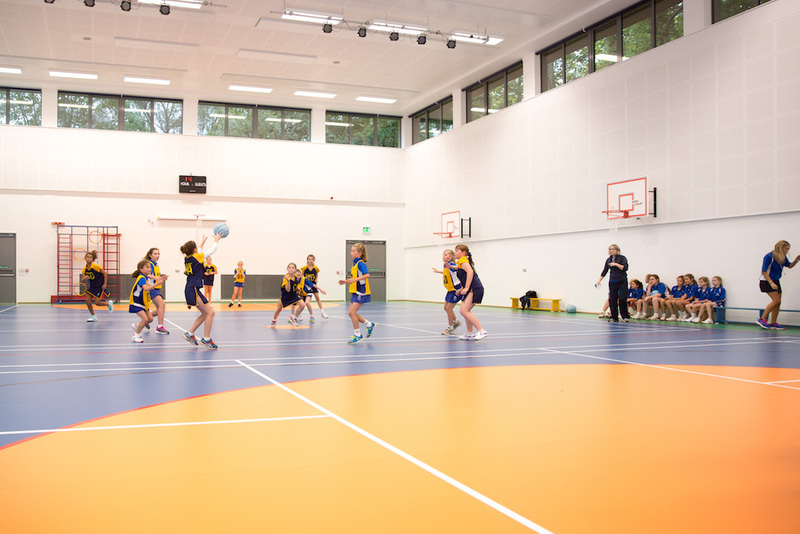 One of the first things you’ll notice as your make you way up the winding driveway are the Astroturf pitches for hockey, netball and tennis, and the second thing you’ll probably notice is the new multi-purpose sports hall, which opened in 2015. 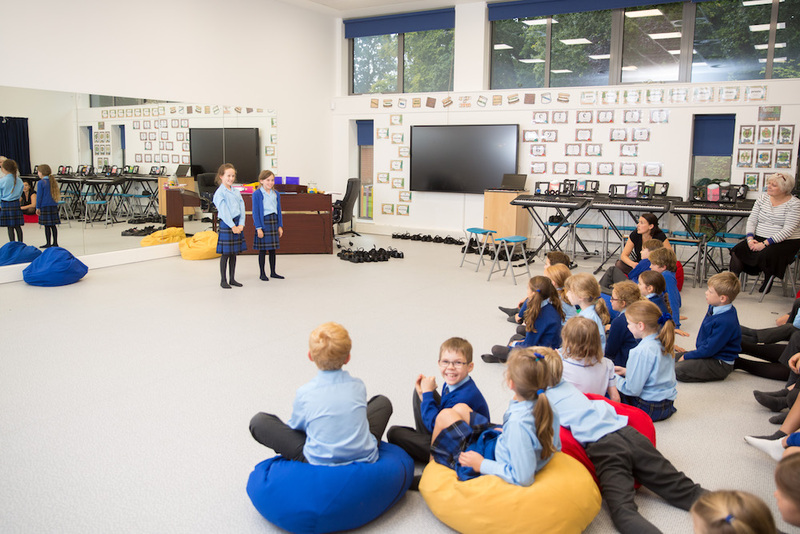 It’s an impressive space which includes a music and drama room and music practice rooms. 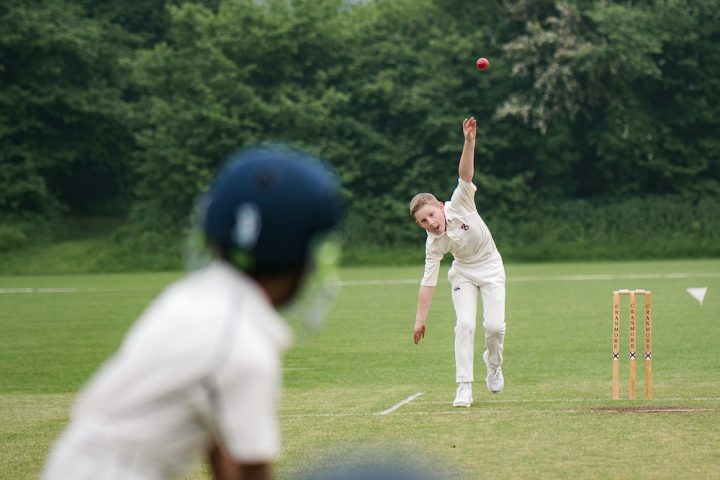 There are also playing fields for rugby, rounders, football and cricket, and – although not exactly a facility as such – a wooded playing area that’s intrinsic to the school where the children are encouraged to build dens, dig holes and climb on logs. There are also the usual classroom facilities: an ICT suite (with an impressive collection of iPads), a stunning art studio (with its own pottery kiln), and science lab. In 2017, every year 6 child got into a senior school of their choice. 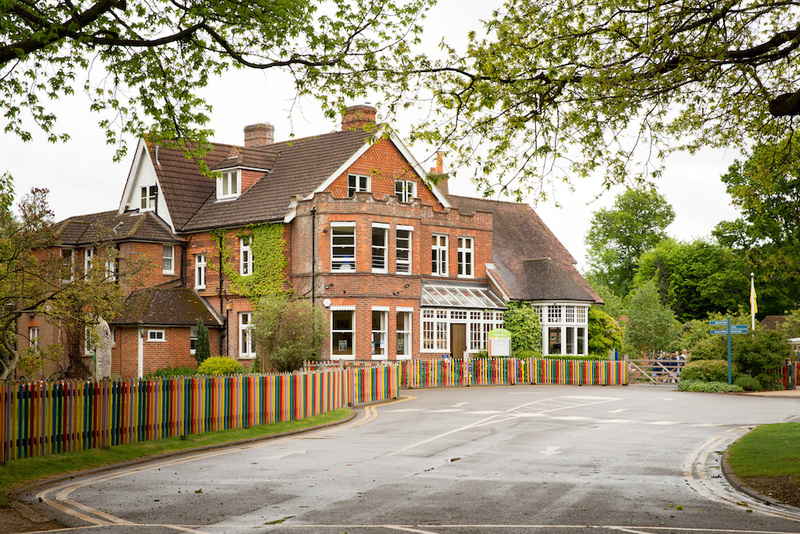 Longacre feeds into some of the top independent schools in Surrey, including Royal Grammar School in Guildford, Guildford High School, Reigate Grammar School, Tormead School in Guildford, St Catherine’s School in Bramley, King Edward’s in Witley and St John’s in Leatherhead, among others. 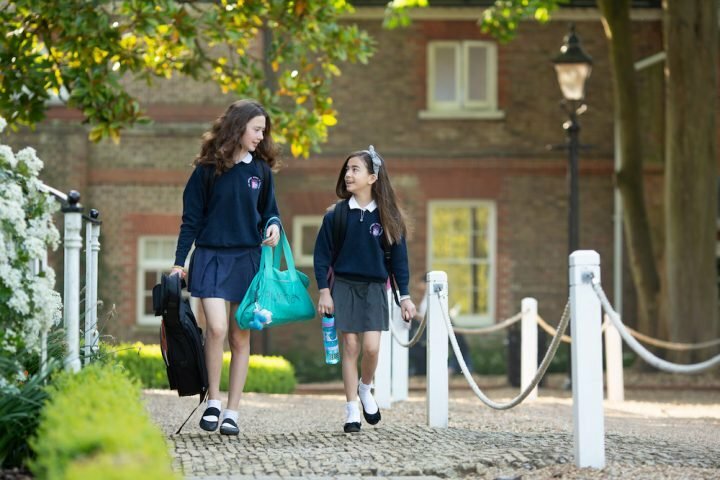 In 2018, 14 scholarships were offered to children for places at Duke of Kent, Frensham Heights, Guildford High School, Tormead, King Edward’s Witley, Prior’s Field, St Teresa’s Effingham, St Edmund’s and The Royal School. The school’s last full ISI inspection was in Feb 2014, and judged outstanding for its early years, and excellent for its teaching, curriculum, and pupil’s progress and attainment; as well as excellent for its pastoral care, spiritual, moral, social and cultural development, and links with parents. In January 2018, the ISI carried out a Regulatory Compliance Inspection – read that report here. The Fairfax Scholarship, named after the school’s founder Ursula Fairfax-Cholmeley, is an academic scholarship open to both internal and external candidates entering year 3. Scholarships are awarded at 10 per cent of the school fee and will normally be provided for the whole of the remaining time that the child is at Longacre. Means-tested bursaries may also be available to children from year 3 and above, offering up to 100 per cent of the fees. The Headmaster Matthew Bryan is new to the school having arrived in January of this year, and as you’d expect of a new head, he does have plans for the school – although these mostly consist of refining something that is already very good. 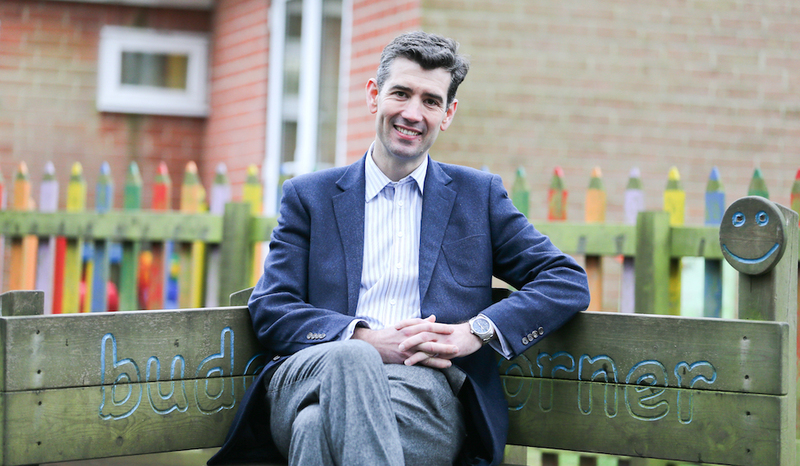 He’s friendly and good-natured and it’s easy to see the children have already taken a shine to him, which is not surprising because he’s the kind of head teacher I’d imagine would rather be out building dens with the children in the woodlands than confined to his office. Next week, his own family is travelling to Cumbria to collect a black lab puppy they’re going to call Horace, who will be also be a regular at the school. His own daughter is at the school – which says a lot – although he laughingly suggest he had a strong self-interest in creating a truly amazing school. Jokes aside, Mr Bryan is passionate about education, and he’s passionate about turning out happy children with a high academic success. It needn’t be a choice, he says. 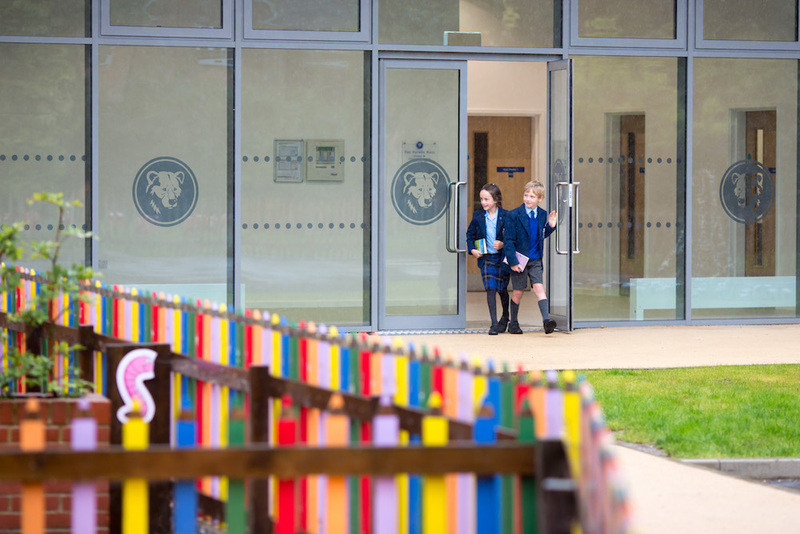 The Pre-prep is housed in its own building – facing The Quad – with a separate play area for the children. The rising 3s are in the nursery and the rising 4s are in the Kindergarten which are made up of adjoining classrooms. 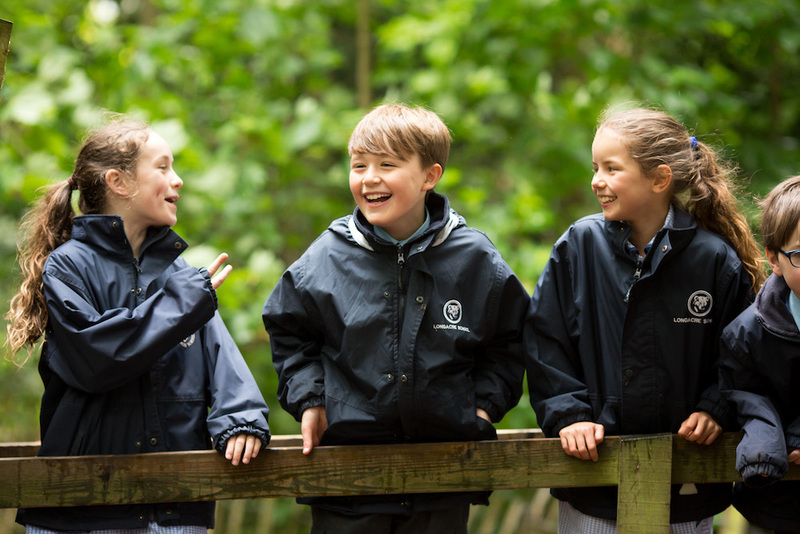 The Pre-prep pupils benefit from specialist lessons in music, Forest school and games. The previous head teacher was a fan of specialist learning for children, and as such the pupils in years 3-6 are taught maths, English, humanities (geography and history), art, PE, music, personal social health education, and religious education by specialist teachers – which involves moving from class to class. Another noteworthy feature is the school’s logo – a bear – chosen because the founder’s name Ursula means bear and because her husband, Robert Fitzgerald was from British Columbia in Canada, the state of the grizzly bear. The school day starts for everyone at 8.30am and ends at 3.45pm, and there is an Early Birds Club available from 7.30am and after-school care until 6pm. There’s also a wide range of extra-curricular clubs – which run after school as well as at lunchtime – with the most recent additions of ballet and chess (of which Mr Bryan is suitably proud!). Fees start at £3,275 a term for pupils in full-time nursery or kindergarten rising to £4,875 for children in year 6. Fees include lunch and morning and afternoon snacks. After-school care is extra, at £2.60 per 30 mins when it’s pre-booked or £5.20 per 30 mins drop in. Longacre parents will talk your ear off about how nurturing the school is. They love it. Much is made of it being a school that let’s kids be kids – children can roam around in the grounds, climb trees, make dens, hang off the adventure playground equipment. Muddy trousers are not uncommon by any stretch. But there’s discipline and rigour too. Kids are proud to come here. Good for: Outdoorsy kids, those who seek a friendly smaller school in the countryside with a strong sense of community. Not for: Parents who are looking for a hothouse environment for the children. The ethos is strongly focused on happy children, and from that stems high academic success. Dare to disagree? Have a look for yourself at the Open morning on Fri 21 and Sat 22 Sept, and let me know what you think. I’ve been a parent at Longacre School for over 10 years and I think you’ve summed it up in a nutshell! Well done on providing such an honest review. I’ve had a little girl at the school for a year now (year 1) and I have been so impressed. Having two older boys in a “hot-house” boys school this was such a refreshing change but don’t let it fool you: your child will be challenged to their best ability and bring out their full potential, my sons certainly were not at the level she is now at when they were 6 with maths or English. I am so glad I made this choice for my little girl. She is confident, happy, academically challenged and comes home every day with a smile.